Hours: Mon - Fri 10am-12am except Tues 10am-3pm, Sat-Sun 9am-12am. Fort Defiance was created by noted mixologist St. John Frizzell who set out to create a "third place," not home or office or business... a community center fusion of cafe, restaurant and bar. He succeeded. 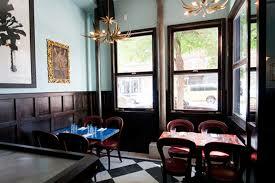 It is one of the magnet destinations on Red Hook's main drag, Van Brunt Street. 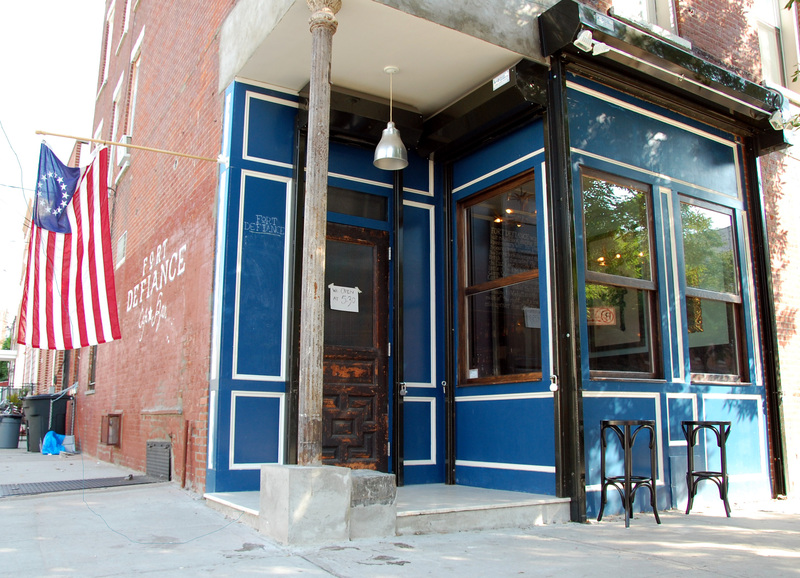 It is unusual for Red Hook because it is open for three meals a day and on Monday. Their Monday burger night is a cheap and popular draw for locals. 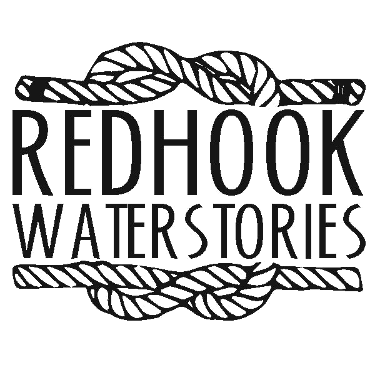 It is named after a fort on Red Hook's western shore that was significant during the American Revolution. A hand-written sign over the board celebrates that history. More recently, it also a community garden and gathering spot.